Do You Have 10-30 Lbs to Lose? Perhaps you are in the boat where you just have those 10-15 last pesky pounds you can’t seem to lose and they’ve just been STUCK on you for some years now. Or you were going along in life, dum-dee-dum, all fine at a healthy weight you were happy with and BOOM, somehow 10-20 lbs just came up behind you and JUMPED you. Perhaps you had to take a medication like cortisone, or hormone replacement therapy or some other med that caused the weight gain. Or you may have had an injury and all of a sudden you found yourself sedentary and your job or gym hour got replaced with snacks on the couch while you healed. 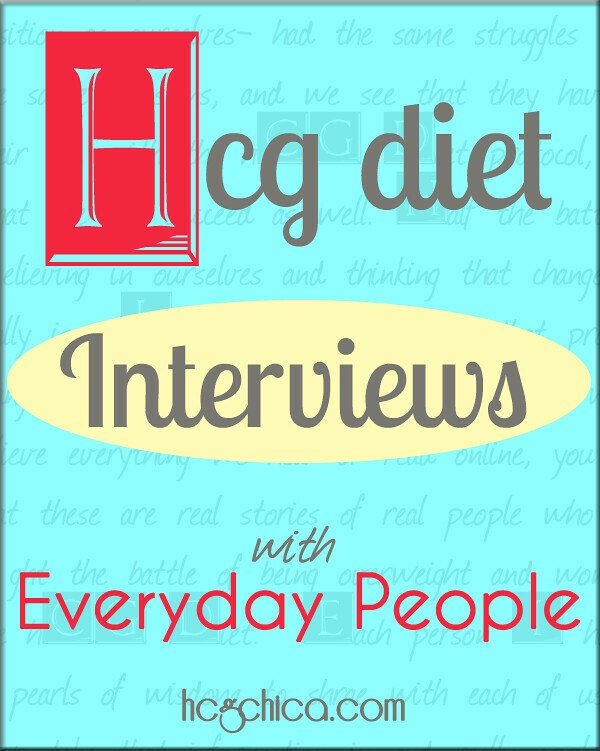 Whatever the case, here’s 12 ladies I’ve interviewed, either about their hCG diet experience, their P3tolife experience (a structured program for Phase 3 of hCG), or both. You can typically lose 10-15 lbs in one short 3 week round of hCG. For 20-30 lbs you will probably need 1 long 6 week round, or a 2 short 3 week rounds. Bodies vary of course, but that will be go for many of you. You can see my current recommendations for online hCG providers here to purchase real hCG injections or pellets. 19lb Weight Loss with hCG + 7lbs Gone while on P3tolife! Hillary, 50, lost a total of 17lbs: 11lbs with the hCG diet injections and 6lbs through the p3tolife program. From 145lbs, she went down to 128 lbs while maintaining 5 lbs below under her LIW. At the age of 57, Lynda successfully lost 25lbs with hCG injections. She’s menopausal and she has to be on Hormone Replacement Therapy. She’s a p3tolifer and she stabilized pretty well while feeling all satisfied and full! Lynda also shares her strategies to succeed on P2 in her interview. Thyroid problems & celiac disease made it difficult for Julie to lose weight in her mid-forties. But with hCG injections, she was able to lose 20lbs on P2. What’s more exciting is she continued to shed 8 more lbs while on P3 with the p3tolife program. Also, she learned to love cooking and her family loved the p3tolife meals, too! Arleen lost 15 lbs in her most recent round of hCG with the help of the P2 workbook. At the age of over 50, she has successfully stabilized and even lost more weight while on Phase 3 by following the p3tolife program. She did a total of 4 rounds of hCG where she had a hard time maintaining her weight loss on her previous rounds. She also has some travel tips to share! Debbie lost 17.4lbs with the hCG Diet. She was also diagnosed with Hashimoto’s. She had trouble stabilizing before but she had great success with my P3tolife Program and finally stabilized well at 19% bodyfat! 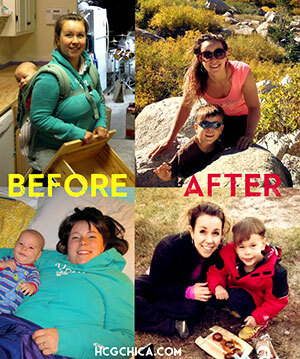 She had a total of 5 rounds of hCG, where previously her weight loss came back so she had to do it again & again. Lynette lost 17.8 lbs with a 22-day round of hCG injections. She prepared for her hCG journey by researching hCG for 6 months when she started gaining weight after getting pregnant at the age of 44. She has some really great food tips and treats to share that made her stay sane while on P2! Jenny lost 25 lbs with hCG drops. She tested positive for Celiac disease but ever since going on the hCG diet and being completely gluten-free, she has not had any symptoms whatsoever and she feels very healthy. We also talked a lot about BODY IMAGE issues and her experience with bulimia and how she recovered from it. According to Jenny, after reaching 133 lbs, she felt that she was still unhappy with her body and thought about doing another round – which she eventually did. Her weight dropped to 123 lbs. However, she had a hard time stabilizing and her weight climbed back again to 133 lbs. 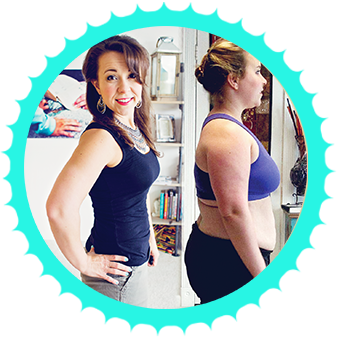 After some self-evaluation and wondering if her desired weight is healthy for her, Jenny decided to just listen to her body and stabilized at her current weight. Bridgette lost 20 lbs with hCG injections and sublingual hCG. She works with an hCG health clinic in Orlando, Florida. She had been working with patients doing the hCG for almost 3 years before she tried doing it herself. She knew the protocol very well and she coaches the patients weekly. After finding out that her weight was at 153 pounds, she finally decided to take advantage of her knowledge about the diet and the fact that she works in an hCG clinic. She also thought it would be great if she would be able to share her first-hand experience with her patients when coaching them. In the interview, she shared that hCG promotes testosterone production that’s why people retain their muscle mass and actually gain muscles if they do a higher calorie protocol and some light resistance training during the program. (But if you’re on the 500 calories you don’t want to do that.) This is just something she discovered based on seeing so many patients go through the program. Donna is a practicing nutritionist in Australia and she specializes in coaching women who are 40+ with weight loss and autoimmune disease. While never terribly overweight, being an endomorph, she has always struggled with slowly gaining and fighting to stay within a normal weight range. She has used the HCG diet protocol to lose fat efficiently for that stubborn 15 lbs. she had a DEXA scan done showing she reached 19% body fat. She has shared her P2 sanity savers and her food/meal plan during Phase 4. She’s also sharing lots of valuable tips and the most important keys to succeeding in the hCG Diet. At the age of 60, Laura lost 28 lbs with hCG injection. And she had successfully stabilized with proper Phase 3 for about 4 to 5 weeks. During phase 3, she ate P2-style but with more quantity. As P3 progresses, she slowly introduced other food groups to her diet. Her starting weight was 195lbs and she ended up at 167lbs. She works out 4-5 times a week during P3 of hCG diet and she has done 4-5 correction days within this period. Mandy started at 200lbs and ended her weight loss journey at 120lbs. 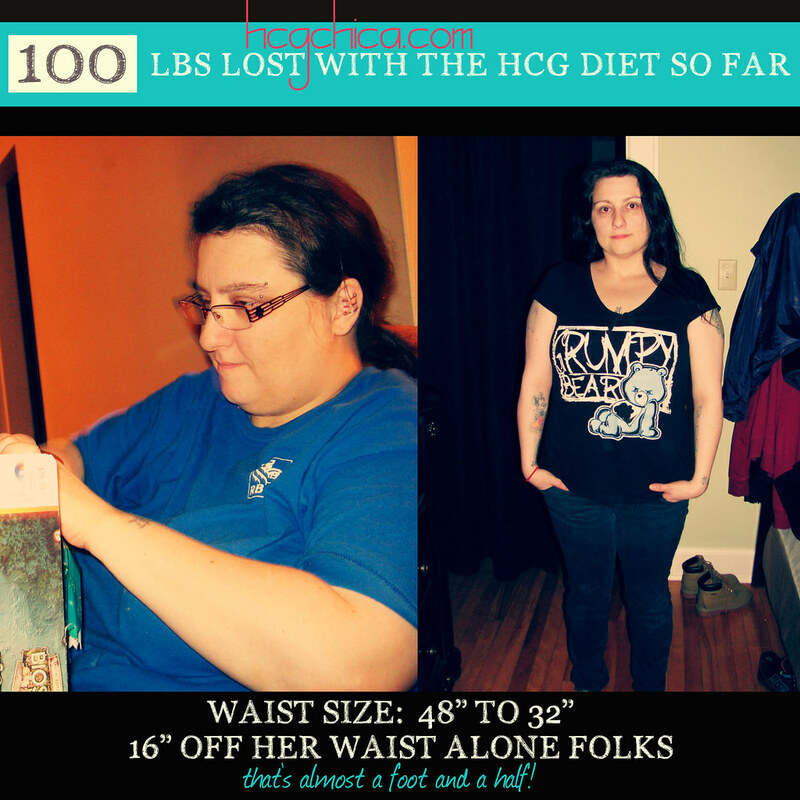 Out of the 80lbs she lost, 30 lbs were the result of the hCG Diet. She used to wear size 42 in Men’s and pretty much gave up on women clothes. This was one of the major adjustments that she had to go through when she started losing weight. She did 5 rounds of hCG but mentioned that she never really stabilized properly until the 5th round. She also did ketogenic diet and intermittent fasting which did not work for her as she expected it to be. Barbara, a 56-year-old cancer survivor lost 15 lbs with homeopathic hCG drops, in menopause no less! The anti-cancer drugs she had to take caused a change in her hormones and put her into early menopause. With that came a 15 lb weight gain which eventually she was able to lose with the 500-calorie hCG diet. Try to look into the series of stalls blog posts to find out why and maybe your body is telling you to take break.